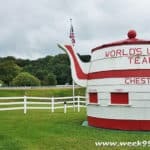 The dream of most Americans is still to hit the road, see our history and the landscape around you. 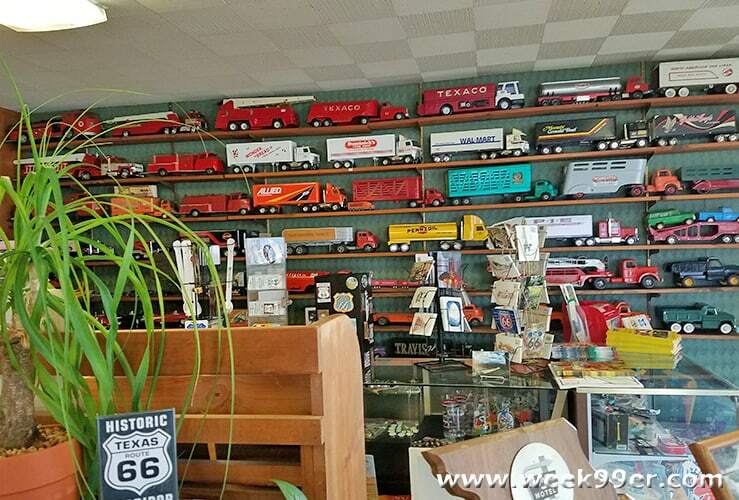 Route 66 is the epitome of Americana and our history and a time that we all fantasize about. With the bright neon lights and amazing architecture, road side stops – driving Route 66 is a goal we all hold if you love road trips. 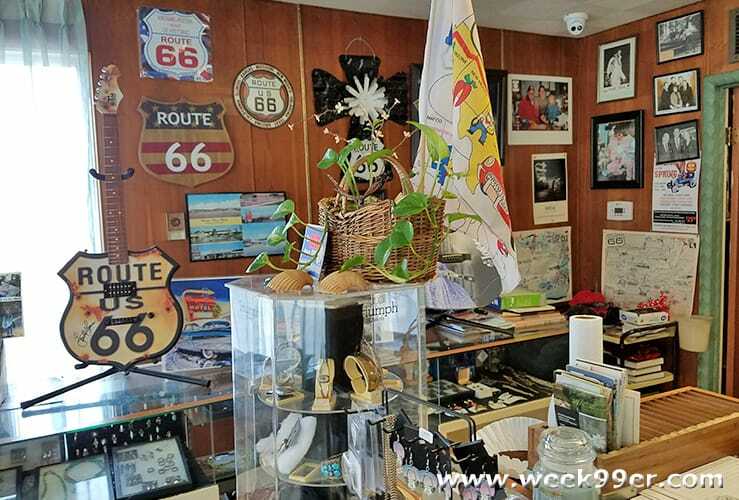 But over the years, the interstate has passed over the main part of Route 66, but you can still find some of the original route, buildings and even businesses still standing. 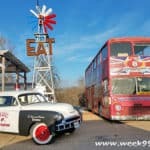 You may have to take a detour along the way to reach some of the original parts of Route 66, but there it is, in all of it’s glory. 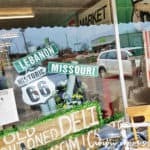 On a recent trip through Missouri we took that detour, only 5 minutes of of Highway 44 to Lebanon, Missouri. 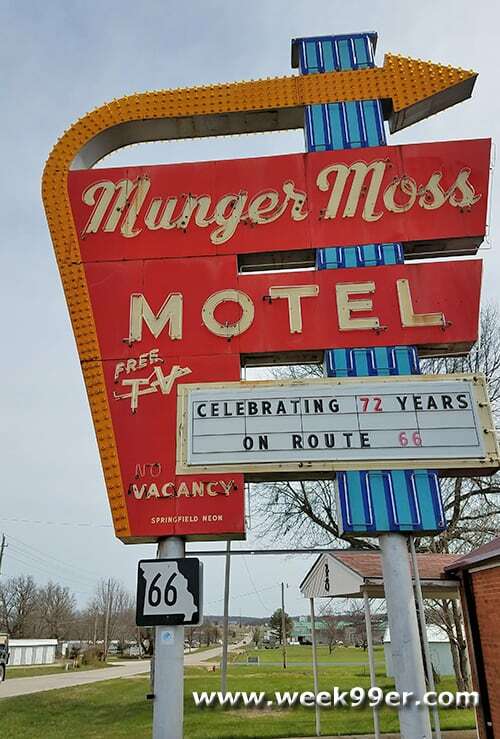 Sitting proudly after all of these years is the Munger Moss Motel – an iconic motel from the heydays of road tripping America. The motel was built in 1946 adding to an original filling station and restaurant named for the company owners from 1936. The filling station and restaurant are long gone, but the motel still stands strong welcoming guests nightly. The interstate was built in 1957 and bypassed the motel, but purests still find the location and stay there on their way through the area. 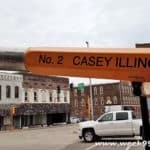 If it’s to see the iconic sign or stay in their rooms, it’s a beacon that brings tourists through the area. 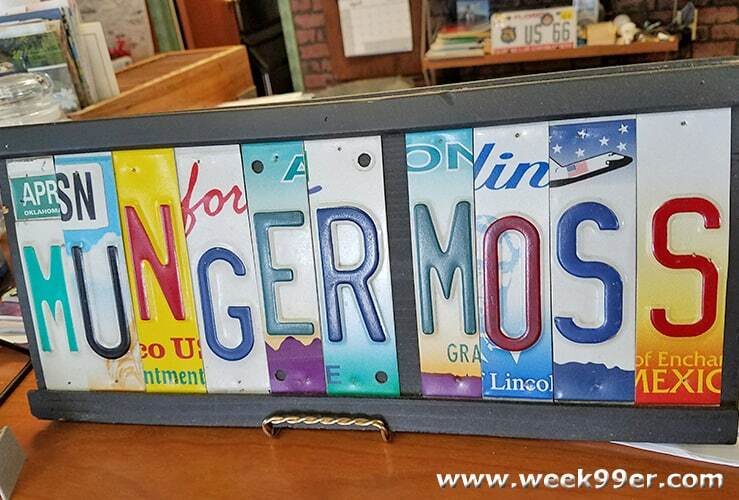 Even if you’re not staying, Munger Moss brings you in their smoke filled lobby with Route 66 memorabilia, historical artifacts and more. Munger Moss is close enough to Highway 44 that it has survived all of these years. 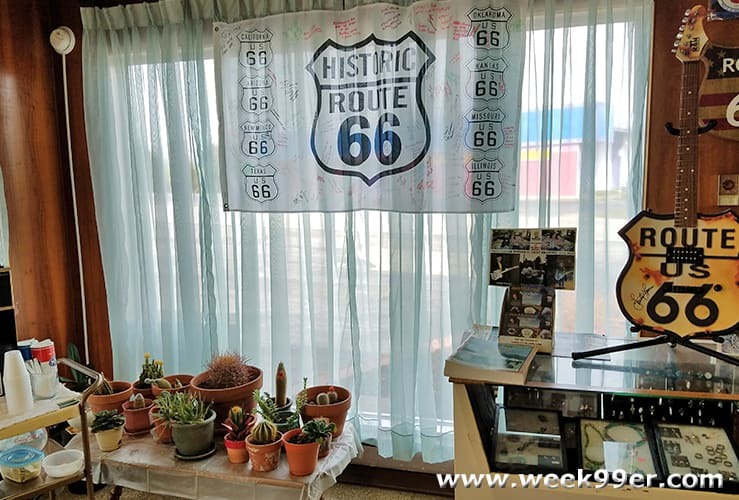 Now offering over 40 rooms that are pet free and some have smoke free options, you can still stay in part of Americana history and on a part of Route 66 that still stands. Next Road Side Stop – the Dinosaur Park of Coloma!